Designed to complement the Day Moisturiser If you are looking for a rich nourishing cream which will rejuvenate dry or mature skin, then this is the one for you. With regular use you will find the dryness will disappear and fine lines and wrinkles will soften, leaving you looking younger. Use nightly on the neck and face using sufficient of the cream to give good coverage. Made from finest cold pressed oils of Jojoba, Sweet Almond, Wheatgerm, Vitamin E, Marigold, Hamamelis Water & Rosewater. 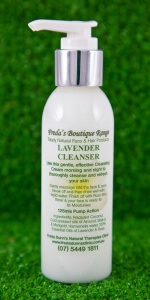 Lightly perfumed with 100% essential oil of Ylang Ylang.